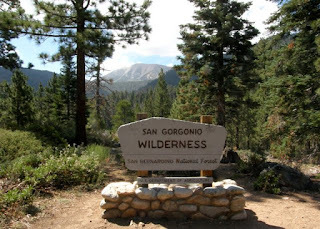 The National Forest Service has lifted the complete closure order for the San Gorgonio Wilderness (as a result of the Lake Fire) and has reopened unaffected and safe areas of the San Gorgonio Wilderness. The following trails and associated trail camps are open to use according to the San Gorgonio Wilderness Association: Vivian Creek Trail, Momyer Creek Trail, San Bernardino Peak Trail, and Forsee Creek Trail to Johns Meadow. The revised closure order is in force from July 2015 through July 2016. Please respect the closure and do not put yourself or the recovering habitat in danger. The closure map and the entire Forest Order may be found by clicking Here and Here respectively.